• In 2010, 96% of all value trade on Liv-ex was Bordeaux. Now it’s 60% (year to date). • In 2010 there were 60 Bordeaux wines in the Power 100. This year there are 45 (down from 53 in 2017). “It’s just not a Bordeaux year,” is perhaps the neatest summary. As mentioned already, nearly 100 wines qualified for inclusion in the list, including 19 new labels, but none ended up in the final tables. Furthermore, some illustrious names have dropped out of the top 100 altogether: Tertre Roteboeuf, L’Evangile, Trotanoy, Brane-Cantenac, Haut-Bailly, Rauzan Ségla, La Fleur- Petrus and Lascombes. Again, this is not specifically down to any particular failing on the part of any of these brands, it’s just some other labels have come on strongly this year and some have been forced out in the reshuffle. So there is no need to panic just yet, unlike, say for Angélus and Pavie, which have fallen by 29 and 13 places respectively, a drop Gibbs places squarely on their re-pricing game of recent years. 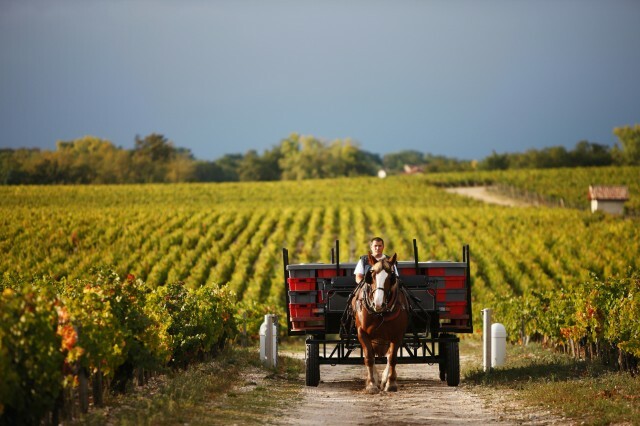 But while most labels’ progress up or down is dictated by the general warp and weft of the market, there is a suggestion that one brand that has really lost some lustre is Pontet-Canet. The high-flying fifth grabbed headlines with back-to-back 100-point scores from Robert Parker for its 2009 and 2010 vintages. En primeur release rocketed sharply as a result but did it go too far too fast? The 2013 release was a little illjudged in price and how it was presented ahead of any other châteaux, and before any of the trade had had a chance to taste it. If the owners thought that allocations would just be taken without question it was proved otherwise, and relations with négoce and merchants have deteriorated since then, with reports that some négoce refused their 2017 vintage allocations this spring. It’s still trading quite strongly, fourth overall in volume but a rotten 221st for price performance, which has helped drop it 13 places from 55th to 68th. The US remains the key market and Pontet-Canet was the most searched-for wine in the first six months of the year but there’s a whiff of decay in its current performance. Looking at Bordeaux at large, some of the overall stutter can be put down to the poor 2017 primeurs, but also a sense of slowdown in the Right Bank, which has been a key driver for Bordeaux in recent years but which is pulling back a little, no longer as vigorous as it was. The first growths remain absolute; Lafite, Mouton Rothschild, Margaux, Haut-Brion and Latour are all still in the top 10 of the chart, and their second label index is one of the most successful in Bordeaux (certainly for Carruades and Petit Mouton, at least). The reason for this is the volume and value that these labels can call upon – even if the average case price has as much as halved since the glory days. If this list were dictated by volume and value trade alone, there’s no doubt the first growths would be on top. There have been some excellent results for some other Bordeaux labels. Palmer, for example, despite the annual grumbles at its primeur release prices, is up 17 spots to 14th place, Lafleur, after a barnstorming couple of years, leaped 26 places to 17th. Cos d’Estournel is back to classical and widely lauded winemaking ways, and has risen by 19 places, while the muchadmired Lynch-Bages, with its healthy volumes to offer, is up 24 positions to 22nd place. Pichon Comtesse is up 14 places, Ausone eight, Beychevelle, with its strong Asian base, another 20, and the very affordable Talbot is up 12 spots. Bordeaux is not a category people are turning their backs on by any means, it’s what they are buying within it that is changing. Outside of the top 100, furthermore, there are some brands clawing their way upwards. Malescot St Exupéry hurdled a full 71 places to 121st, while the aforementioned Carmes de Haut-Brion is up by 57 to 105th. It is the best Bordeaux label for price performance, and it is largely held back by lack of volume trade on the exchange. It is definitely a brand on the move, though, and at this rate it is likely one that will be in the Power 100 next year. This highlights the main thing about Bordeaux. Yes, prices at the top end set some people aquiver with rage, but it is a region packed with strong, high-quality brands that have been proving themselves in recent years and are still very much in the affordable column. 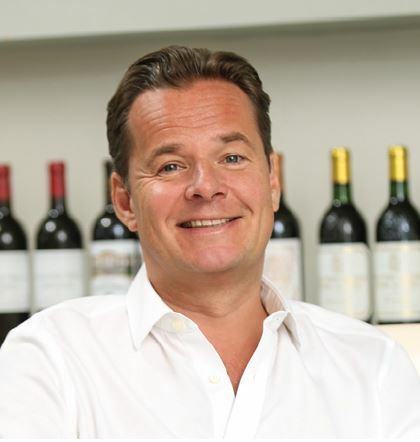 “It’s an area where Bordeaux does hold compelling value,” says Gibbs. What have been the big sellers this year and what have been the noticeable disappointments? Burgundy 2016 en primeur sold really well. There wasn’t much of them – a lot less than 2015 – but there was a lot of interest and positive comment. Bordeaux 2017 wasn’t quite as successful as ’15 and ’16, which was to be expected. We sold quite well but it was clearly a smaller campaign than ’15 or ’16. Has this been a year marked by growth or consolidation? There has been consolidation in Bordeaux, because of the small vintage, but we made up for it in other areas, so I think turnover will be more or less the same. Have you seen interest in any Bordeaux back vintages, and what do you make of Bordeaux’s current position in the wider world of fine wine? The 2017 primeurs were much less time-consuming so the advantage was it didn’t take too long and gave us time to focus on other things, especially the ’12s and ’14s, and also great vintages such as ’05. We’ve seen the prices and demand for great vintages of the 1990s rise because people are drinking them and stocks decline. But most vintages, like the ’11s-’14s are quite static. The ’05s are starting to go, certainly from the second growths downwards. We have done quite a lot in northern Italy, we’ve definitely done more in Spain – you can still buy gran reservas from 2010 at great prices. The US continues to grow – brands such as Opus, Ridge and Dominus – and new ones like Promontory are finding their way into people’s cellars. There’s a bit more interest in Australia, with Penfolds, Moss Wood and Giaconda.